The Musical Theatre Choir has been repeatedly noted by experts as highly professional staff. 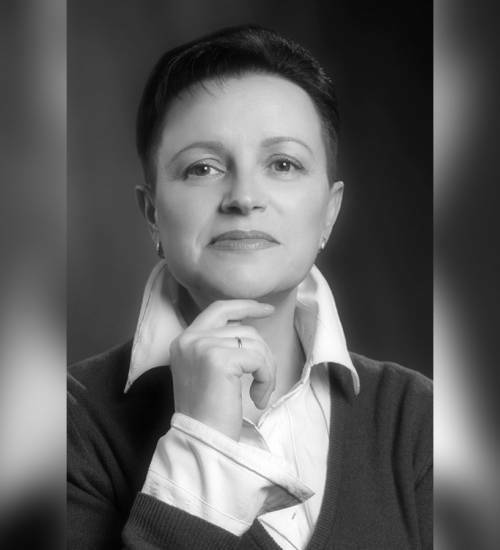 Since the theatre foundation the choir has been headed by Galina Duncheva, she is Honored Artist of Russia now. The choir mostly consists of graduates and students of the Astrakhan State Conservatory choral conducting and solo singing departments . There are 15 operas in Russian and in Italian in the choir repertoire, among them there are such complicated for choir as "Boris Godunov", "The Tsar's Bride", "La Traviata", "Carmen", "Eugene Onegin", "Cavalleria Rusticana", "Orfeo ed Euridice ","Otello", ?The Queen of Spades. " The musical theater choir is a constant participant of the International Festival of Vocal Arts named after V.Barsova and M.Maksakova. There are the cantata "Moscow" by Tchaikovsky, «Vesperae solennes de confessore» and «Regina coeli» by V.A..Mozart, Rachmaninov?s cantata "Spring", choruses from operas, cantatas, and sacred music in their repertoire. Rimsky-Korsakov's cantata "Svitezyanka" was first performed in Astrakhan by the musical theatre choir. Such outstanding works as Taneyev?s cantata "John of Damascus", spiritual concerts "Glory to God in the highest" and "All-Night Vigil" by Rachmaninoff , D. Bortniansky?s cantata "Blessed is the Lord", "Verse of Alexis, the man of God" by Rimsky-Korsakov were especially produced for the annual festival "Voices of Orthodox Astrakhan".